Google search is one of the main ways people explore content online and look for things they want to read about or are interested in buying. So ranking higher in SERP (Search Engine Results Page) has become a prerequisite to get found online. Well in simple words once you have published content on your web pages or blog pages, Google crawls those pages and renders the content of the page for keywords and freshness of the content. Then Google index those pages in the Google search index; they not only organize the webpages but the information too. When you look for something online Google ranking systems sort through hundreds of billions of web pages in their search index to give you relevant and useful results. They have advanced algorithms which analyze your search, decipher the meaning and return the information to you. So it’s simple, to rank higher you have to play the game by their rules. How are you going to achieve this? Let’s talk more about Search engine optimization and how you can optimize your page for Search engine rankings. 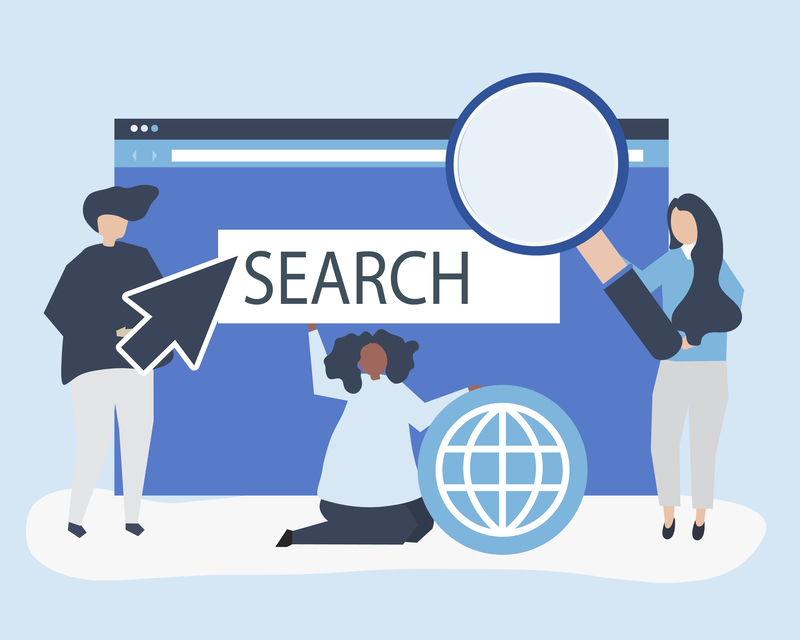 According to Wikipedia “Search engine optimization is the process of affecting the online visibility of a website or a web page in a search engine’s organic or unpaid results”. It basically means to optimize your webpage or blog post content so that search engines display you at the top of search results for people looking for your category of products or services. As per Net Market Share, more than 75% of the searches on desktop or mobile begin on Google. And the first five organic results on google get 67.60% of all the clicks and results from 6 to 10 get only 3.73%. Now that you got an idea of how important are search engine rankings. So to build ranking on search engines you need to understand what they look for before ranking any of the indexed pages on the result page. What Search engines are actually looking for? For every query search engines try to provide the most relevant and useful results. They have their internal algorithms which are very smart and we can never be able to decode them. The search engine takes into account the searchers location and their previous search history etc. So, if they find your content fit for the searcher’s query, your content will appear in the search results page. And for that, you need to publish useful, helpful content on a regular basis. Google, for instance, is trying to understand the searcher’s intention as a whole instead of picking keywords from the query. So, even if you have the keywords but the rest of the content is not relevant you will find it hard to improve your search engine rankings. Posting more often improves Google rankings but there are plenty of things you can do to refresh the content you have already published to make it up to date. You can revisit your old content and add some new information which you have discovered or change some facts and figures which might have changed. In this way, you are recycling your old content and making them suitable and relevant to the present scenario. It’s not important to write more often but to write purposefully and thorough. Search engines give a lot of importance to the user experience. So it’s necessary that your website is easily navigable, with relevant internal linking and connecting relevant content. Like using dropdown menus can hinder the crawl-ability of search engines and they fail to index those pages on your website. Also while planning your website take care of the ease of movement through your website for users. Keep the number of pages less and relevant content on all pages. Not able to find comfortable navigation can discourage your users to revisit your page. When we talk about user experience how fast your web pages load makes a lot of difference. Internet users demand and expect a fast response time for their browsing experience. In fact, 53% of visitors will abandon your website if it takes more than 3 seconds to load. Technology development has decreased the attention span of users and they want speed than ever before. A 1-second delay in page response can result in a 7% reduction in conversions. Optimizing your website for page speed reduces your bounce rate and your users will not leave your website. And for Google to remain at the dominant spot of search engines will have to service the need of page speed to improve their user experience. That is why Google’s web page speed benchmark is 2-3 seconds. And for you to stay in business you need to play by Google standards. We are talking about user experience a lot in this blog, so on the same line how compatible is your website with all kinds of devices is very important. Especially with the tremendous boost in mobile search, it’s imperative to have a responsive web design which performs equally well on mobile devices. Mobile devices have already reached more than 75% of global internet users and it’s only going to increase. So creating responsive designs for your website which gives the same level of user experience on all devices and users will not have to zoom or squint while browsing is important for SEO. Check with Google’s tool if your website is mobile friendly or not. Title tags tell search engines and visitors what your page is about in a very concise and effective way possible. But only use relevant keywords and don’t try to misguide users or search engines because you may get short term traffic but in the long run, it’s going to hurt your rankings. The Meta description is the short paragraph that appears below your URL on the search results page. It is not going to improve your rankings but it’s going to help your chances of a searcher clicking on your link after reading it and finding it relevant. Use of relevant keywords in the strategic places like page Title, your URL and Meta description is important and required but apart from that, stuffing your page with unnecessary use of same keywords is not a good practice. This habit is going to hurt you more than they can benefit you. Search Engines have gotten very smart and they consider many things before ranking any page for the searcher’s query. Do your keyword research and only use the most relevant ones that actually define your page and content. Guest blogging is contributing a piece of content to another blog or website in order to build relationships, authority, and links. It gets you the exposure of their audience and you can build a backlink to your website. It’s a win-win situation for both the websites but make sure the quality of a website is good and refrain from posting duplicate content from your website. A low-quality website backlink and duplicate content can harm your SEO efforts badly. The links you get when someone who considers your content useful and links back to it in their content is called backlinks. Yes, Backlinks play an important part in search engine rankings but the quality of links is more important than the quantity. Links from authoritative websites can boost your search rankings very quickly. The number of links from nonrelevant sites is more spammy than helpful. Internal linking of your content. Tagging the images on your website correctly. Quality of share of your content on social media. SEO is vast and you can not get it right overnight. It can take you months or maybe years to get a few basics right. So, do your keyword research before writing your next content and use them smartly. Don’t worry if you have done your shares of mistakes with SEO in the past, you can correct it today.